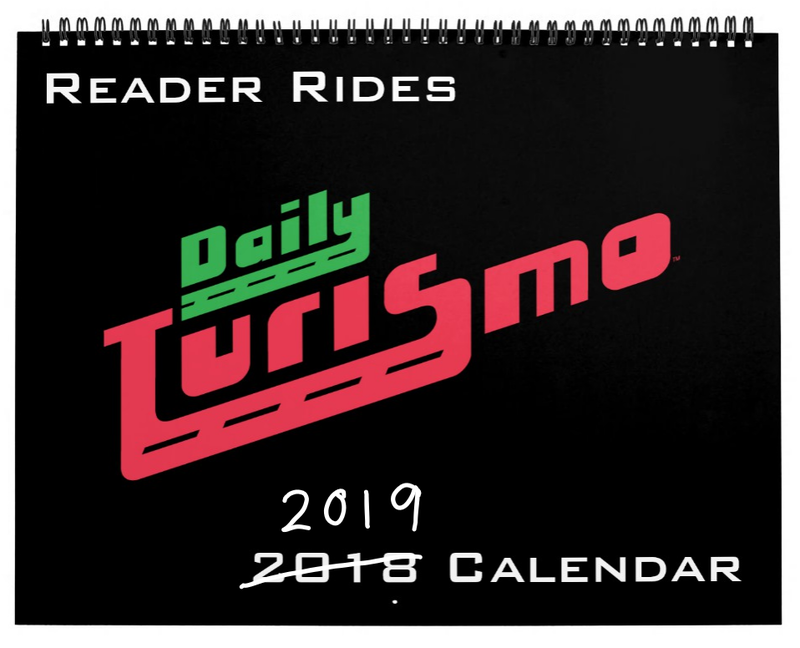 Hey DT Readers, there is still time to get your wicked hooptie featured on a page of the 2019 DT Reader Rides 12-month calendar. 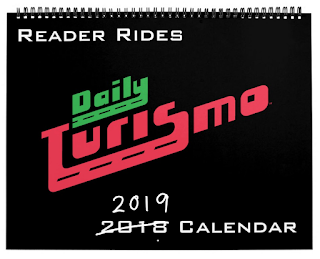 If you've got a car you'd like to submit for the calendar -- please email 3 to 5 hi-resolution photos (at least 1600 pixels wide) to tips@dailyturismo.com (with the word "calendar" in the subject) along with some basic details about your car -- 1 or 2 sentences that describes your ride. 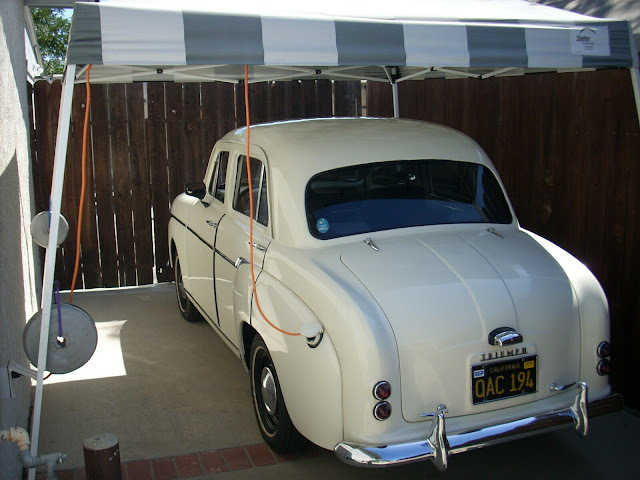 A highly qualified board of expert judges will select the 12 best cars for the calendar and later we will offer them for sale to anyone interested.